Vetri has the longstanding reputation as being one of the most respected and influential Italian restaurants in the country. In September of 1998, Chef Marc Vetri and his business partner, Jeff Benjamin, premiered Vetri Cucina in a historic townhouse in Philadelphia. Two decades later, the original restaurant that launched this journey continues to provide a culinary tour of Italy, and has garnered national accolades. 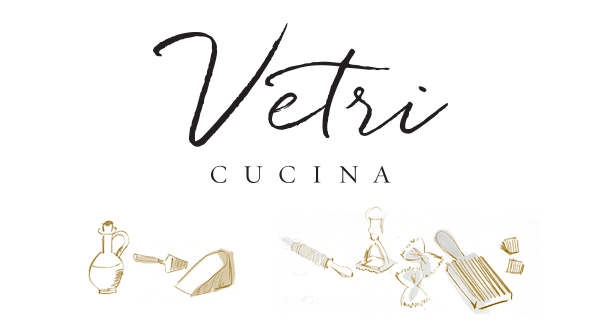 Marc and Jeff are excited to introduce the intimacy of Vetri Cucina to the energy of Las Vegas. Immediately after visiting the Palms Casino Resort, they saw the potential for the second iteration of their iconic townhouse. Perched above the city with panoramic views of the Strip and Red Rocks Canyon, the 56th floor provides the perfect backdrop for this latest venture. The team is thrilled to share their acclaimed Italian cuisine with the Las Vegas community, as well as the unparalleled hospitality for which they've become known in Philadelphia. Vetri Cucina is honored to be included among our talented colleagues as a nominee and recipient of the James Beard Foundation Awards for excellence in the food and beverage industry. Throughout our history, we have received the following recognition from the Foundation. Marc Vetri is the chef/founder of Philadelphia’s critically acclaimed Vetri Cucina. A Philadelphia native, Vetri founded the restaurant in 1998 with his business partner, Jeff Benjamin, to universal acclaim. Within two years of the restaurant’s debut, he was named one of Food & Wine's “Best New Chefs” and received the Philadelphia Inquirer's highest restaurant rating, which the restaurant maintained during a re-review in 2018. In 2005, Marc was given the James Beard Award for "Best Chef Mid-Atlantic." Following years of success at Vetri, Marc, along with Jeff Benjamin, opened Osteria, Amis, Pizzeria Vetri, Lo Spiedo and Alla Spina, all of which quickly won over the dining public. In his latest venture, Vetri has made the long-awaited move to Las Vegas, opening a second location of Vetri Cucina at the Palms Casino Resort. In addition to his storied career in the kitchen, Marc is also the driving force behind the Vetri Community Partnership, a non-profit organization whose mission is to empower children and families through fresh food and education. He is also the author of four cookbooks, his latest being “Mastering Pizza,” released in 2018. After graduating from The University of Massachusetts Amherst, Jeff Benjamin met Marc Vetri in New York City while working in the food industry. When Marc decided to return to his native Philadelphia to open Vetri Cucina, he tapped Jeff to be his business partner and general manager—and the rest is history. Today, Jeff serves as cofounder of Vetri Cucina, and has worked alongside Marc to open its second location in Las Vegas, at the Palms Casino Resort. In addition to being an integral component of the restaurant’s day-to-day operations, Jeff is the cofounder and a board member of the Vetri Community Partnership. In 2015, he published his first book, Front of the House: Restaurant Manners, Misbehaviors & Secrets, a behind-the-scenes look at the details that go into an evening out. His next book, Praying for Extra Innings, arrives in 2018. Jeff lives in Cherry Hill with his wife, Melissa, and their two daughters. When not working, he can be found rooting for his children’s sports teams, as well as his beloved Cubs and 76ers. Born in Venice, Italy, Matteo grew up in a family dedicated to the hospitality industry. Working for his father’s hotel company, Matteo started as a server and moved his way up to F&B manager in the brand’s high-end boutique hotels across Northern Italy and Switzerland. With a mission to make a name for himself outside of his family’s business, Matteo went to New York for a year to get his degree in hospitality, earning a certificate in Restaurant Management and Hotel Management. When he turned 22, Matteo received an opportunity to move to San Francisco to open Farina Focaccia & Cucina Italiana, a traditional Genovese Italian restaurant, and later to open its sister restaurant as the Director of Operations. From there, and after a brief stint in Salt Lake City, Matteo made his leap to Las Vegas. When Matteo learned Marc Vetri was opening a restaurant in Vegas, he had an instant draw to work for him, as it connected him back to his roots, being raised outside of Bergamo where Vetri studied the art of Italian food. Matteo, inspired by Vetri’s attention to detail in everything from his cuisine to service, will bring his philosophy of creating an intimate and exceptional dining experience for each guest to Vetri Cucina. In 2008, Marc and Jeff created the Vetri Community Partnership as an effort to support Alex’s Lemonade Stand, which raises funds and awareness for pediatric cancer causes, cures and research. Motivated by this work, Marc and Jeff decided to leverage their own expertise in food and nutrition to benefit children. They tackled the pressing issue of childhood obesity and poor nutrition through “Eatiquette,” the Vetri Method for school lunch. Eatiquette transforms cafeteria lunch into a family-style learning experience that encourages healthy eating habits and fosters an appreciation for fresh, nutritious meals. Established to help kids experience the connection between healthy eating and healthy living, Vetri Community Partnership empowers children and families to lead healthier lives through fresh food, hands-on experiences and education.